Product prices and availability are accurate as of 2019-04-20 08:15:01 UTC and are subject to change. Any price and availability information displayed on http://www.amazon.com/ at the time of purchase will apply to the purchase of this product. 4000 lbs. 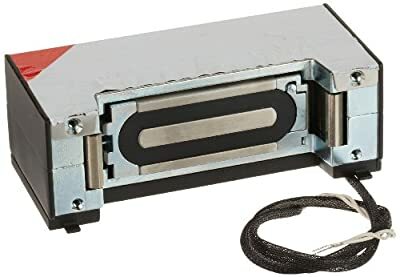 holding force dual voltage dual current Maglock for interior or perimeter doors where ultra-high security and compact size are required.|MM15 is a hybrid design with two spring loaded hardened steel jaws. In the event of a forced entry attempt the mandibles rotate inward clamping down and capturing the edges of the armature.